On this page we explain how to get the Ray Gun in COD: Blackout, from finding zombies to getting the Mystery Box to spawn. The Ray Gun is easily one of the juiciest weapons you can get your hands on in Call of Duty's Blackout mode, but if you want to get hold of one yourself, then you're going to have quite the fight on your hands. For a start, you're going to have to do battle with the surprisingly tough zombies dotted around the map, destroy them before any other players get the same idea and destroy you, and then hope that Lady Luck is on your side when it comes to getting the drop. In this article, we've outlined all of the steps involved in getting hold of the Ray Gun in Blackout, from choosing a perfect zombie location, to working through the options you have to actually receive the weapon. If other methods of getting hold of the Ray Gun appear over time, we'll make sure this page is updated right away - stay tuned for all the latest! Your first task is to find a pack of zombies to take down. You'll be able to spot their locations on the map courtesy of the blue ray of light that shines from the ground and up into the sky. A popular destination - and by which we mean, expect lots of competition - is the Asylum area of the map. This is one of the most likely spots for the zombies to spawn. Having found your roaming pack of undead ne'er-do-wells, your next job is to obliterate them all in order to spawn something called a Mystery Box. Once you've killed all of the zombies in the vicinity, the Mystery Box will spawn. You have a chance to gain the Ray Gun from the box when you open it. 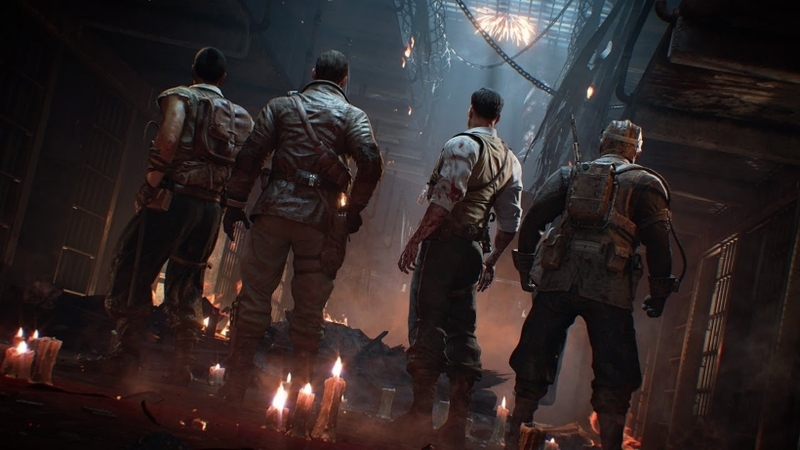 Note that there's a chance you'll receive the Ray Gun for killing the zombies outright, although drop-rates for this to occur are not currently known. Even if you don't get lucky with the Ray Gun, zombies drop pretty high quality gear nevertheless, and so they're useful for getting tooled up even if luck isn't on your side this time. For more info on finding a box, take a loot at our Blackout Mystery Box spawns and locations guide for more information on how to track one down.